1:30pm to 3:30pm Sundays 1:00pm to 3:30 pm Wednesdays Other reasonable times by appointment. Cylindrical tin has lid which fits over top and is quarter filled with lead shot. Metal rifle sight has graduations along rectangular base, with vertical screw adjustable rod, other screw attachments cease to move due to rusting. 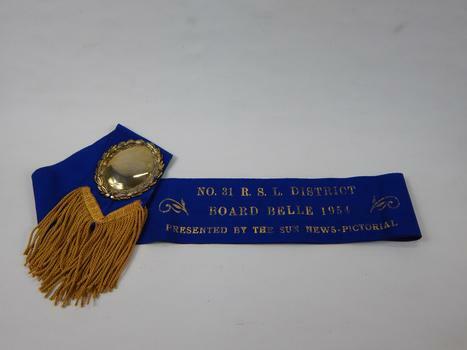 Brass name plate - long rectangular, slightly curved and tapering to arrow shaped ends. Has three holes, one in each end and one in centre to enable attachment to wall. Engraved on front "Hawker & Hyde / Numurkah"
Circular metal Kodak Portrait attachment container houses lens for use with Brownie box camera. Gold transfer on centre of container "KODAK / PORTRAIT ATTACHMENT / DIFFUSION / 4 / Eastman Kodak Co. / Rochester: N.Y. Made in U.S.A. / TRADE MARK REG. U.S. PAT. OFF." 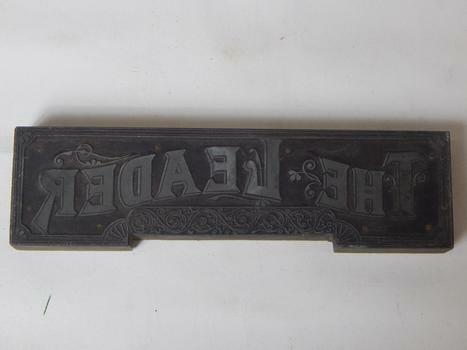 Painted in white lettering on front "The/Age/RELIABLE MARKET REPORTS"
Rectangular metal plate has maker name embossed and has serial number and other related information. Mower plate off Bourke Bros, 200 traction engine, one of first in district (1902-3). Associated display sign. 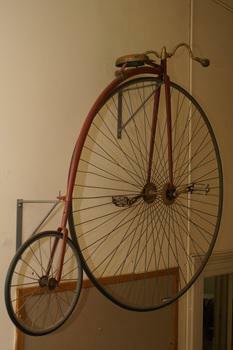 Raised lettering on plaque reads "BUILT BY BUFFALO PITTS COMPANY/BUFFALO, N.Y., U.S.A. No (10440) H.P. (14) REV. 260 WT. 17250"
Poster - religious. Printed inscription on purple paper mounted in decoratively carved wooden frame with glass front. Printed on paper in silver lettering "CHRIST IS THE HEAD / OF THIS HOUSE / THE UNSEEN GUEST / AT EVERY MEAL / THE SILENT LISTENER / TO EVERY CONVERSATION". Handwritten in pencil in bottom right hand corner "TAKEN / FROM HOME OF / T. ADKIN. 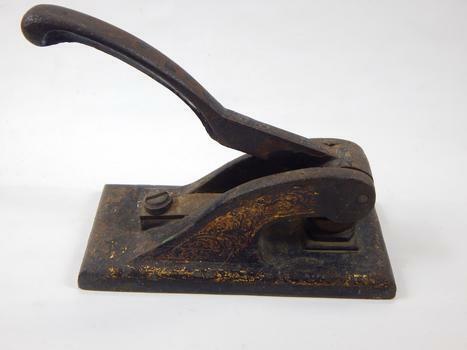 Rectangular tie press - 2 wooden boards secured by 2 metal wing nuts on central metal bar, sits on 3 rubber rests. Petrol rationing was introduced in 1940 as Australia, which produced no oil of its own and had inadequate storage facilities, had only three months’ supply at the start of the War and depended on the procurement of stocks from overseas and their safe arrival. Rationing was introduced to ensure fair access by everyone to scarce goods. 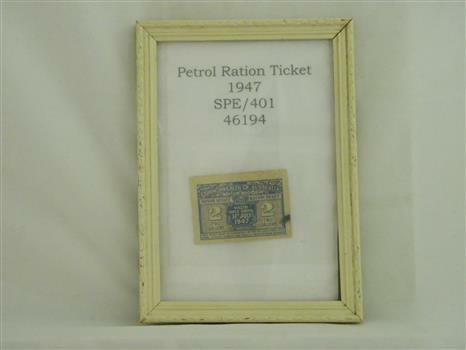 Ration books containing coupons were distributed and in the case of petrol entitled the owner to a monthly ration. "Commonwealth of Australia / Motor Spirit Ration Ticket / 2 Gallons / Valid only until 31st July 1947 / This ticket must be endorsed in ink by consumer with name, licence and vehicle registration number"
Printed at base image on mounting "His Majesty King George VI/From Original by W.B. McInnes." SQUARE TIN SIGN HAS YELLOW PAINTED BACKGROUND WITH BLUE PAINTED PRINT ADVERTISING "Bex"
Printed in blue paint "better relief/BEX/For Headache and all/pain, Colds and 'Flu."